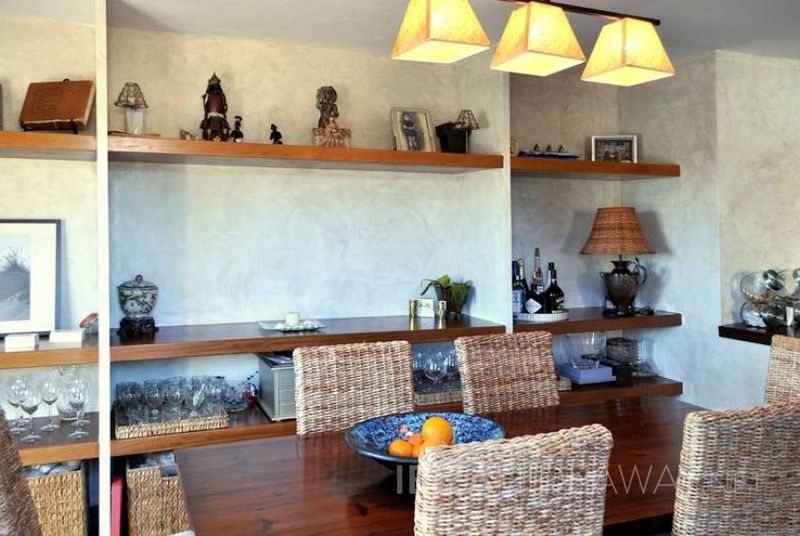 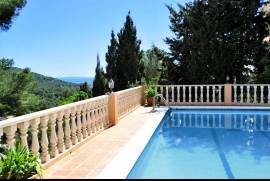 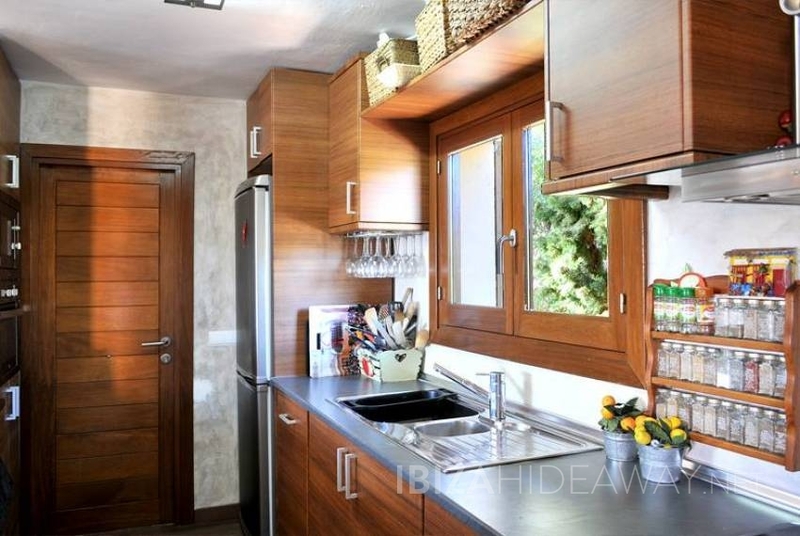 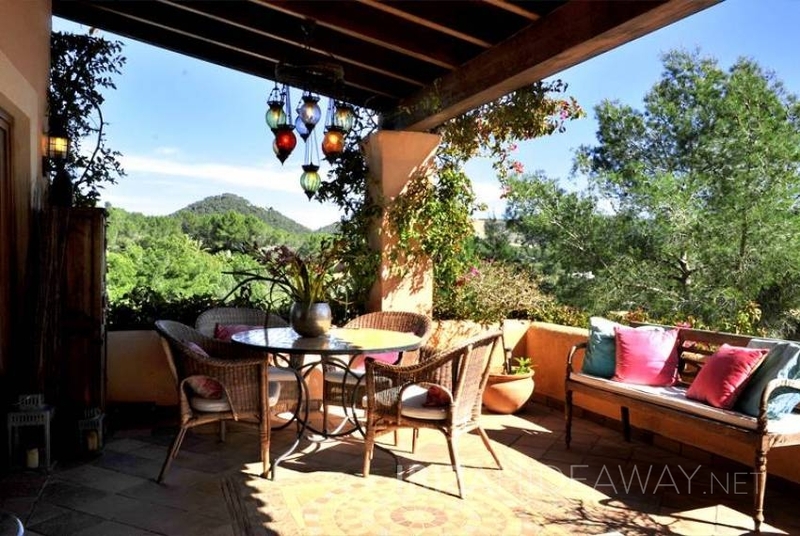 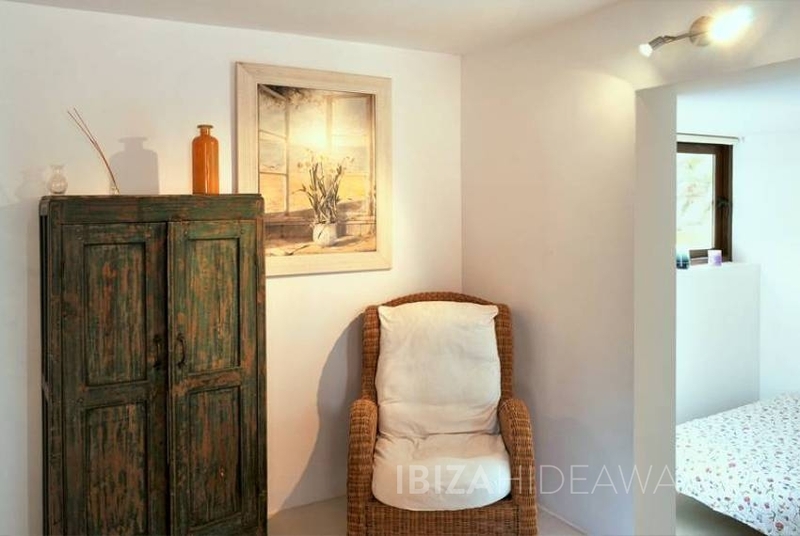 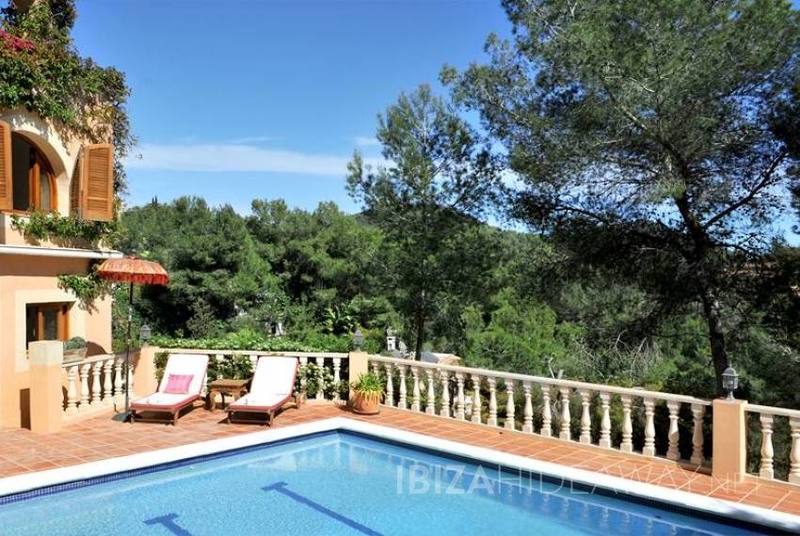 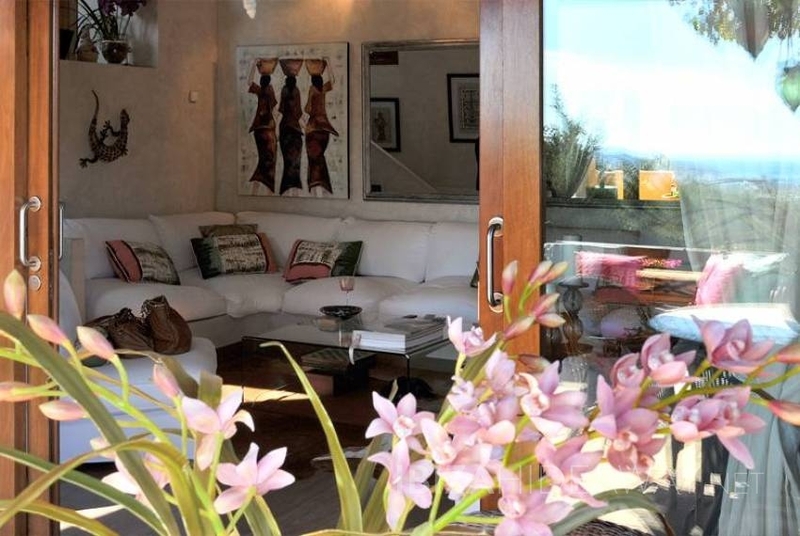 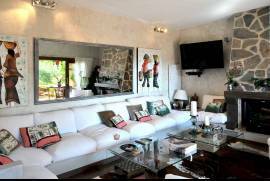 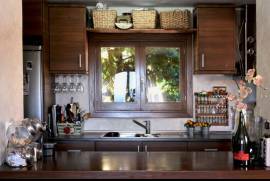 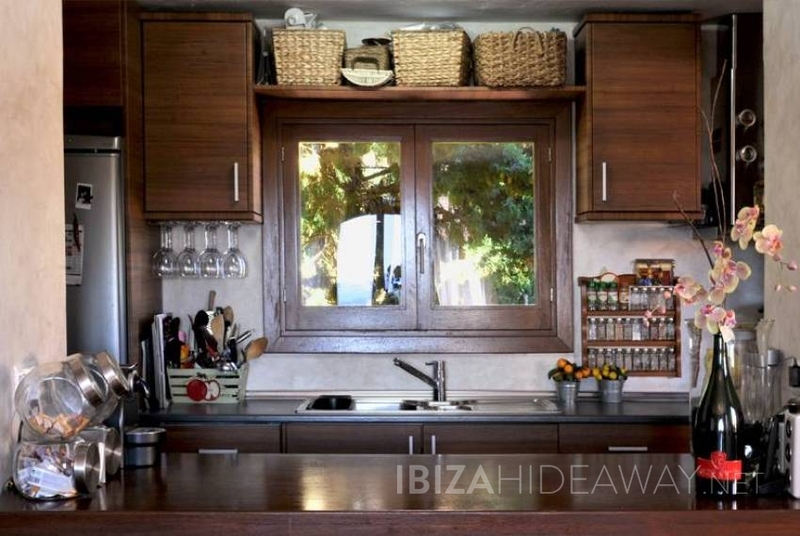 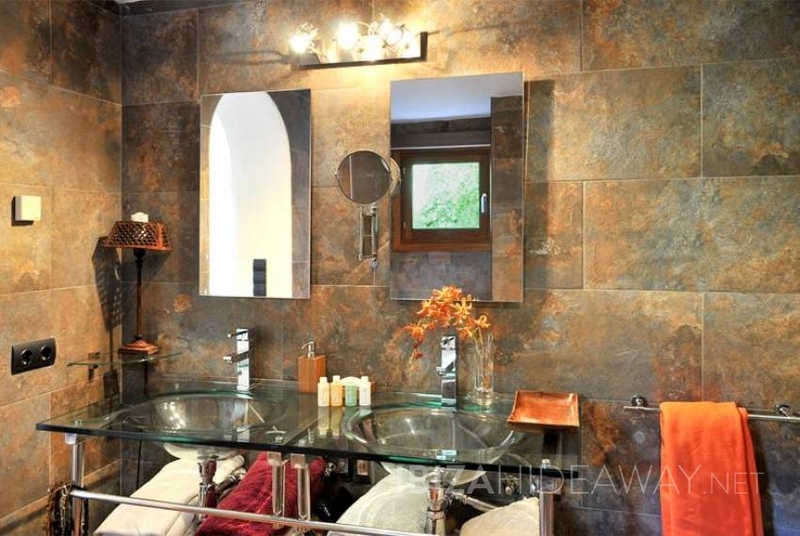 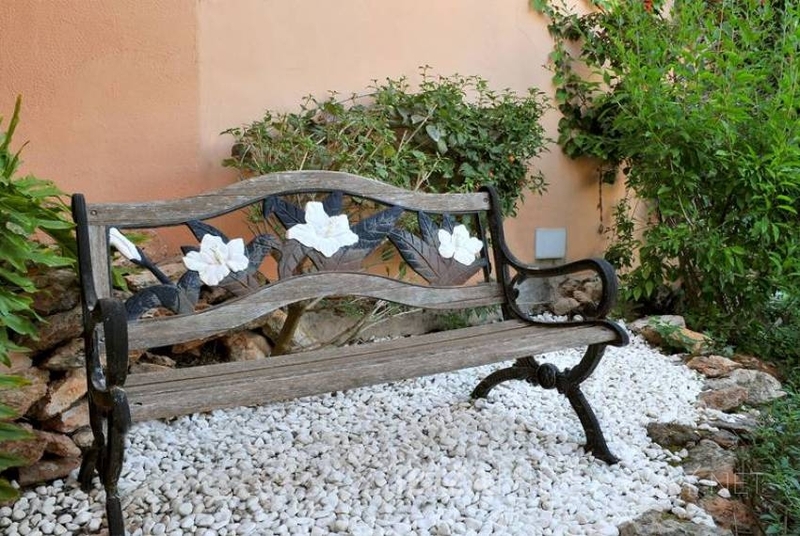 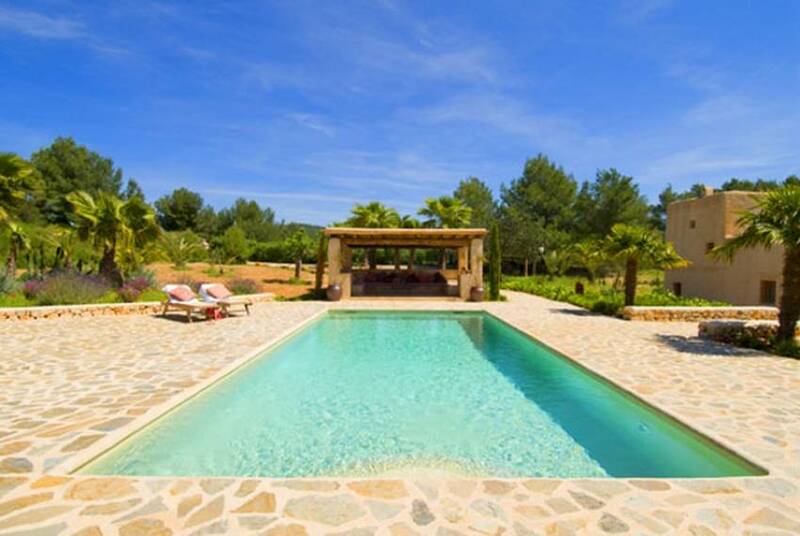 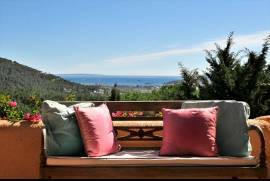 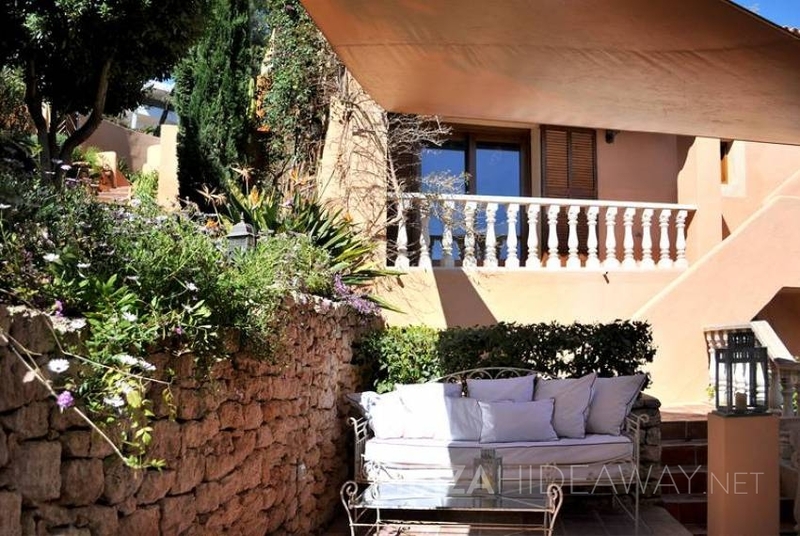 This charming and upscale holiday villa is nestled in a dead end street in the hills of the residential area of Can Furnet at a mere 4 km from Ibiza town. Can Furnet is a high end urbanization providing a 24 security service and camera-surveyed streets. 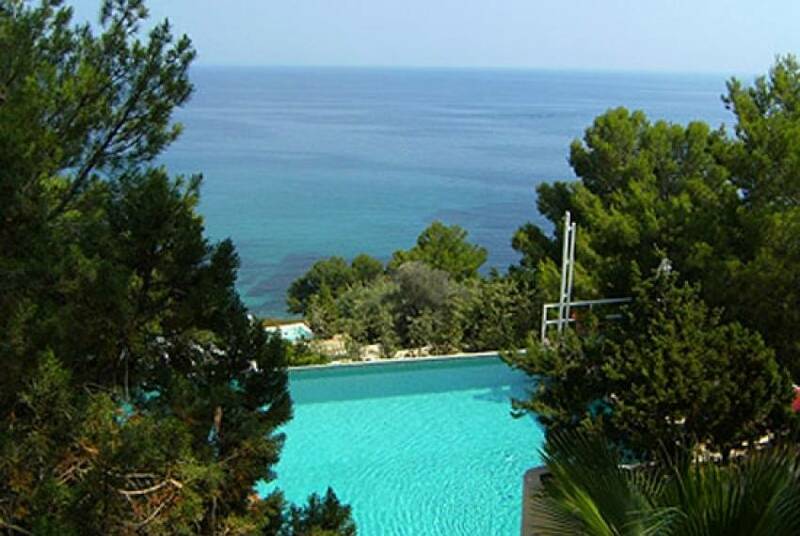 There are several public tennis courts as well at walking distance from the villa, which can be reserved in advance. 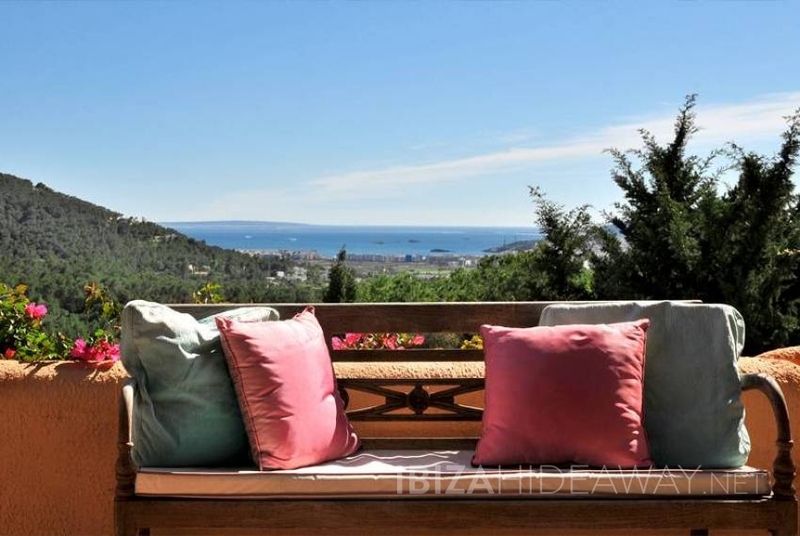 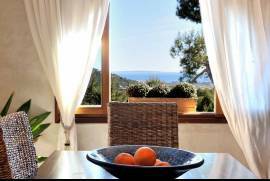 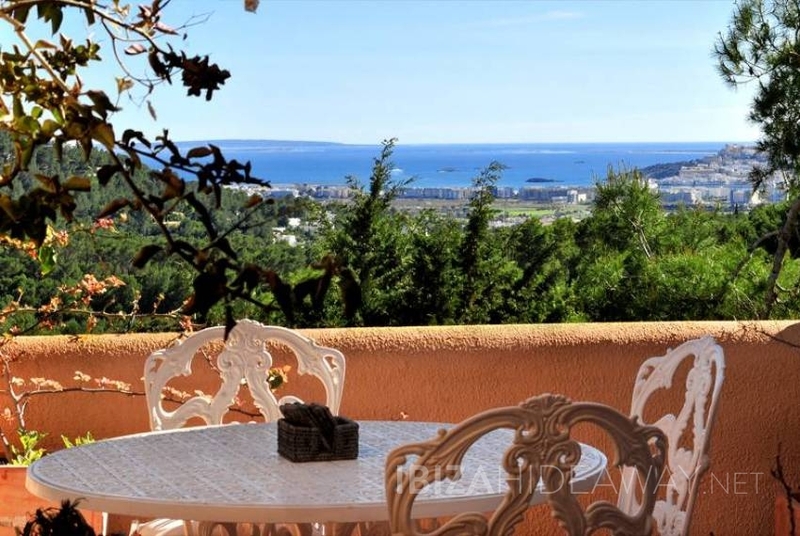 From the villa and its various terraces you get great infinity views to the sea, the port, Ibiza old town and Formentera island. 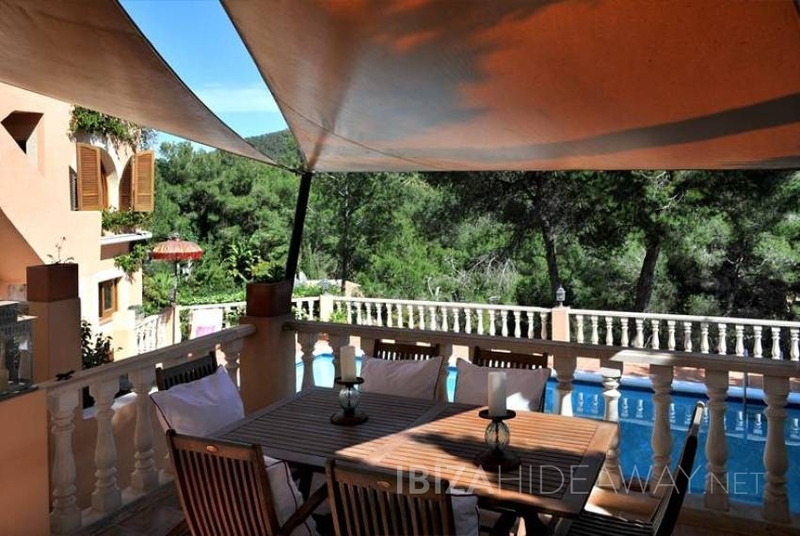 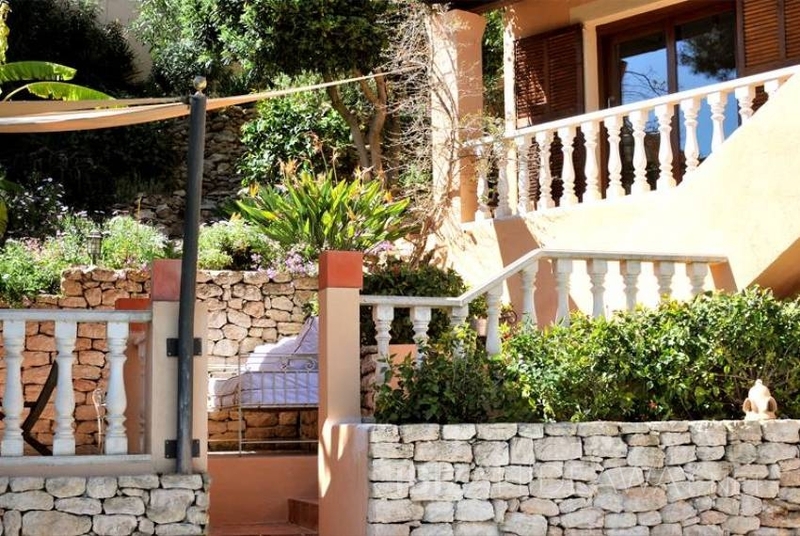 The villa is easily accessible at a mere 5 min. 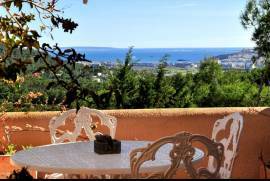 drive from Ibiza town and its beaches Talamanca, 10 - 15 min. 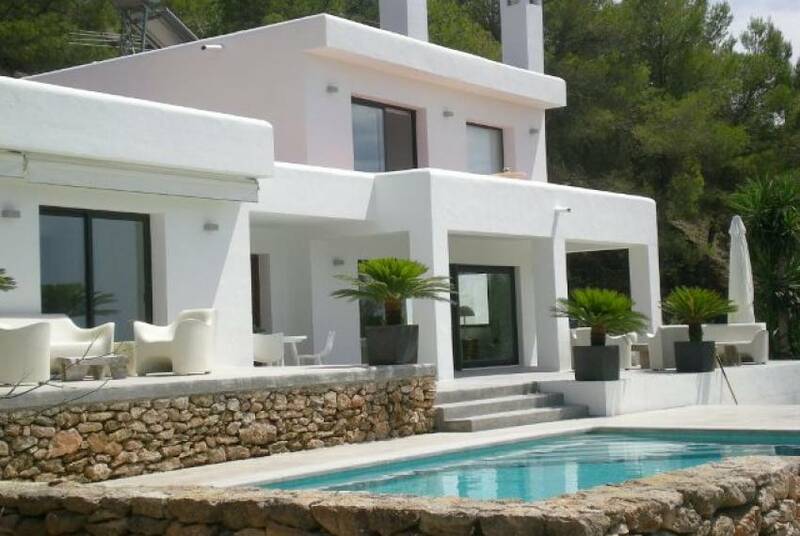 from Las Salinas or Cala Jondal.ou The house distributes on three levels: On the entrance level you will find the kitchen and dining room as well as the living area and two different dining and seating terraces. On a lower level you have three bedrooms and three bathrooms as well as a bar, which connects with the pool deck. 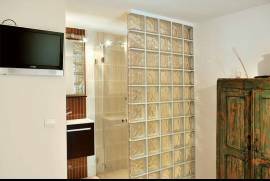 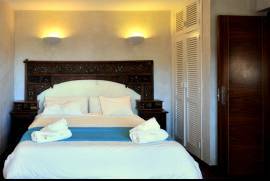 The fourth bedroom is only accessible from the outside and is found next to the main entrance. 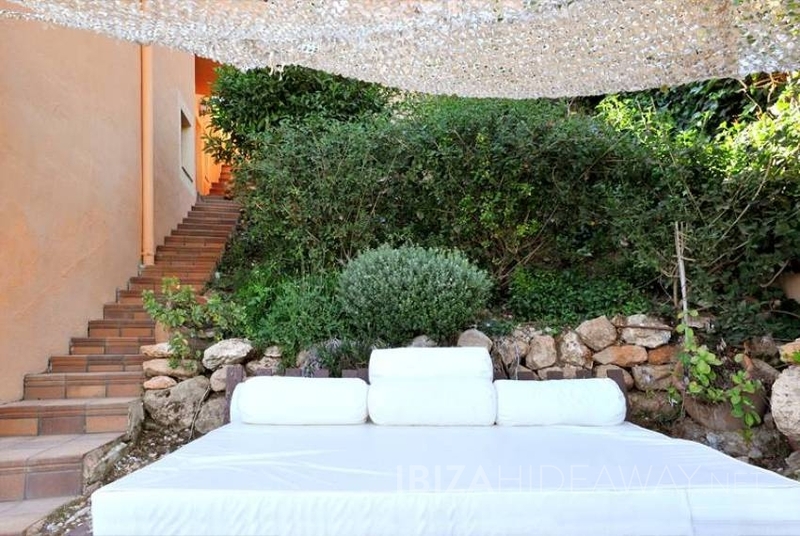 Further below in the garden there is an additional terrace with a Buddha fountain and a lovely covered chillout space inviting for extended siestas and offering relaxing views to Ibiza old town. 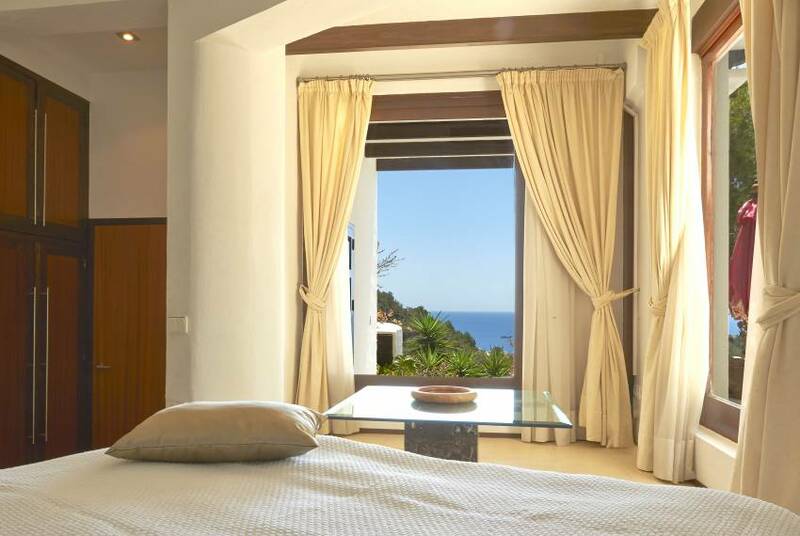 The complete villa is embedded in lovely hanging gardens full of jasmine, birds of paradise and aromatic herbs. 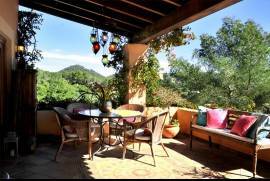 Above the pool terrace there is another, covered terrace, which offers a Weber gas grill and dining space for 8 guests. 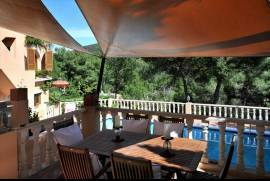 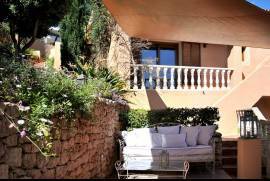 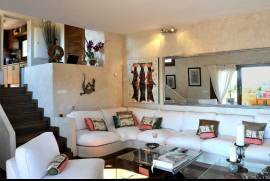 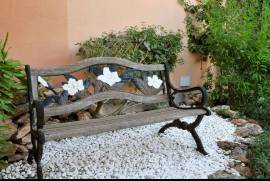 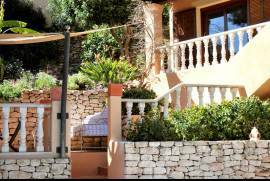 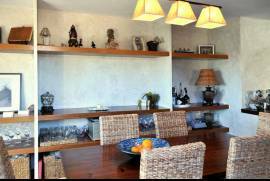 The villa is equipped with high speed WIFI internet, satellite television and has space for two or three cars in front of the house. 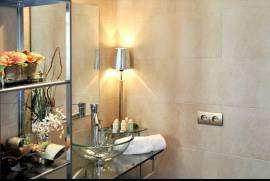 Luxurious getaway in one of the hottest areas of Ibiza and with great views over the Bay of Es Cubells. 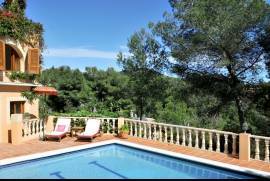 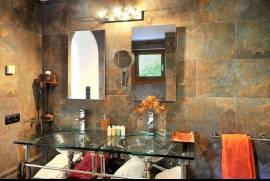 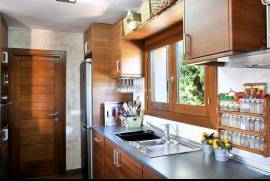 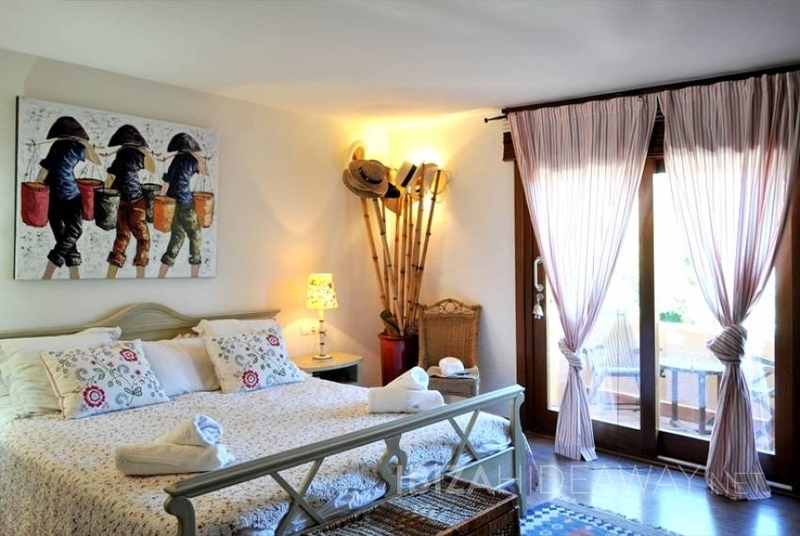 The Villa can accomodate up to eight people and is within walking distance to the village of Es Cubells and sea. 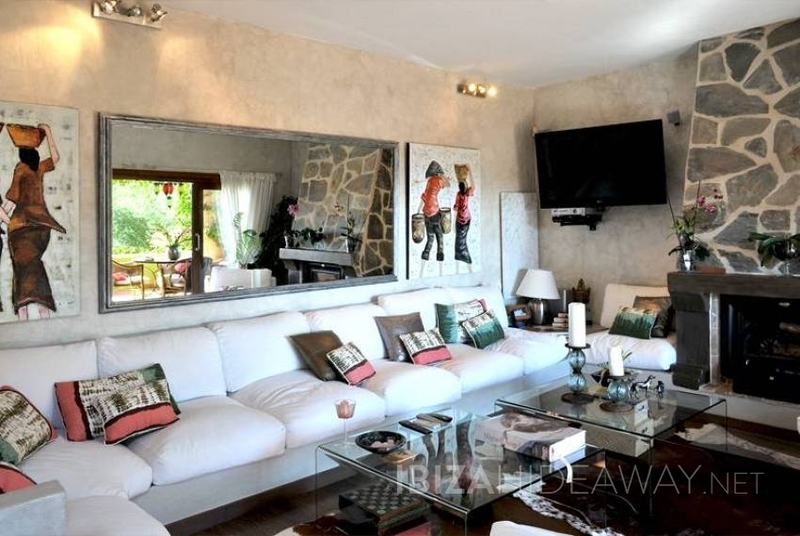 A luxury four bedroom villa, nestled in a lush pine and eucalyptus forest, that sleeps 8 situated near to San Jose.